"The end for small glaciers" or anthropogenic circular reasoning? | Watts Up With That? "The end for small glaciers" or anthropogenic circular reasoning? IPCC estimates of sea level rise corroborated, but large ice sheets might endure. New Zealand’s mountain ranges could lose up to 85% of their glaciers by 2100. In the most comprehensive study of mountain glaciers and small ice caps to date, a team of US and Canadian scientists has projected that most of the world’s smaller glaciers will be gone by 2100. The finding confirms that the Intergovernmental Panel on Climate Change (IPCC) — the scientific group assessing climate risk — was correct in estimating that by that date, complete or partial melting of smaller glaciers will contribute about the same amount to sea-level rise as meltwater from the giant ice sheets of Antarctica and Greenland. The study also confirms that the IPCC was wrong in stating that Himalayan glaciers would disappear by 2035. Radić and coauthor Regine Hock of the University of Alaska in Fairbanks conducted their study by modelling the effect of climate change on every mapped mountain glacier or ice cap, using a middle-of-the-road IPCC scenario for future emissions of greenhouse gases. They then extrapolated the results to account for the fact that while Earth’s total glaciated areas are well mapped, many sections have yet to be divided into individual glaciers. The projected contribution of each glacier’s partial or complete melting to sea level rise ranges from 8.7 cm to 16 cm, depending on the model. The IPCC’s estimates for sea level rise by 2100 ranged from 7 to 17 centimetres in its 2007 fourth assessment report. Glaciologist Ted Scambos of the US National Snow and Ice Data Center in Boulder, Colorado says it is reassuring that the IPCC and the new study have independently reached the same conclusion. “Both could be wrong, but it gives more confidence that both are approximately right,” he says. Why is it a headline? They used the IPCC assumptions to model the IPCC results. 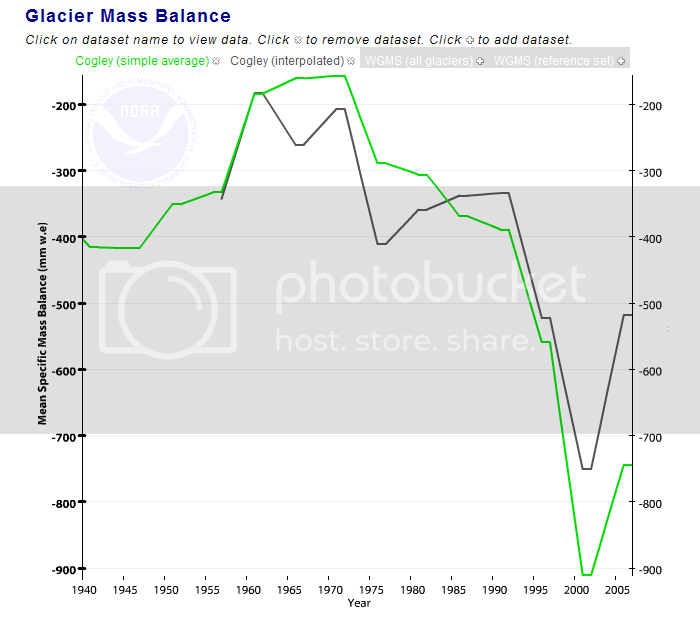 It appears that glacier mass balance has been on the increase since 2003… What’s up with that? The Greenland and Antarctic ice caps have been relatively permanent features throughout the Quaternary (possibly since the Oligocene). If these ice masses melted, it would be a big deal. On the other hand, small glaciers and year-round Arctic sea ice have not been permanent features. They are relatively recent and probably rare features of the Holocene. The geological evidence indicates that the presence these small ice masses is anomalous. The “small glaciers” of Glacier National Park, Montana may have not existed during the Holocene Climatic Optimum (HCO). The geological evidence suggests that they formed about 7,000 years ago as the Earth’s climate began to cool after the HCO. The history of glaciation within current Glacier National Park boundaries spans centuries of glacial growth and recession, carving the features we see today. Glaciers were present within current Glacier National Park boundaries as early as 7,000 years ago but may have survived an early Holocene warm period (Carrara, 1989), making them much older. These modest glaciers varied in size, tracking climatic changes, but did not grow to their Holocene maximum size until the end of the Little Ice Age (LIA) around A.D. 1850. While they may not have formed in their entirety during the LIA, their maximum perimeters can be documented through mapping of lateral and terminal moraines. 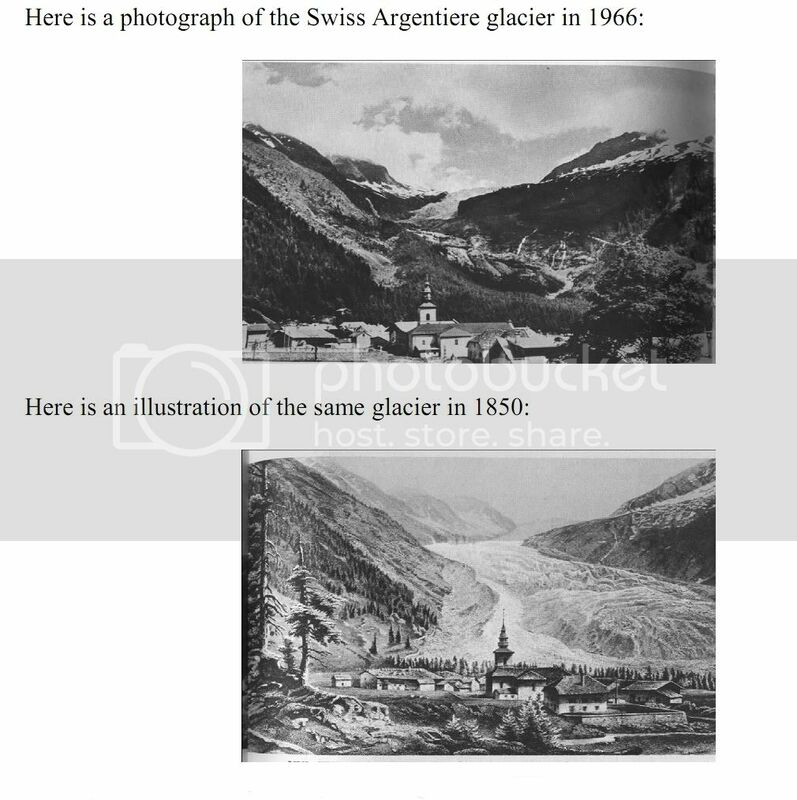 (Key, 2002) The extent and mass of these glaciers, as well as glaciers around the globe, has clearly decreased during the 20th century in response to warmer temperatures. “Mapping of lateral and terminal moraines” clearly demonstrates that the maximum extent of the glaciers was reached during the Little Ice Age (LIA). If “in the context of the entire Holocene, the size of glaciers at the end of the LIA was an anomaly,” how can the current reduced extent be an anomaly? Is there some ideal extent? Something between the LIA maximum and the current extent? The size of glaciers on Mount Rainier has fluctuated significantly in the past. For example, during the last ice age, from about 25,000 to about 15,000 years ago, glaciers covered most of the area now within the boundaries of Mount Rainier National Park and extended to the perimeter of the present Puget Sound Basin. Geologists can determine the former extent of glaciers on Mount Rainier by mapping the outline of glacial deposits and by noting the position of trimlines, the distinct boundaries between older and younger forests or between forests and pioneering vegetation. Geologists determine the age of some of the deposits by noting the age of the oldest trees and lichens growing on them and the degree of weatherring on boulders. Between the 14th century and AD 1850, many of the glaciers on Mount Rainier advanced to their farthest went down-valley since the last ice age. Many advances of this sort occurred worldwide during this time period known to geologists as the Little Ice Age. During the Little Ice Age, the Nisqually Glacier advanced to a position 650 feet to 800 feet down-valley from the site of the Glacier Bridge, Tahoma and South Tahoma Glaciers merged at the base of Glacier Island, and the terminus of Emmons Glacier reached within 1.2 miles of the White River Campground. Retreat of the Little Ice Age glaciers was slow until about 1920 when retreat became more rapid. Between the height of the Little Ice Age and 1950, Mount Rainier’s glaciers lost about one-quarter of their length. Beginning in 1950 and continuing through the early 1980’s, however, many of the major glaciers advanced in response to relatively cooler temperatures of the mid-century. The Carbon, Cowlitz, Emmons, and Nisqually Glaciers advanced during the late 1970’s and early 1980’s as a result of high snowfalls during the 1960’s and 1970’s. Since the early-1980’s and through 1992, however, many glaciers have been thinning and retreating and some advances have slowed, perhaps in response to drier conditions that have prevailed at Mount Rainier since 1977. The Mt. Ranier glaciers also seem to have reached their maximum Holocene extent during the Little Ice Age. Guess what other ice feature appears to have also reached its maximum Holocene extent during the Little Ice Age? Fig. 7 from McKay et al., 2008. 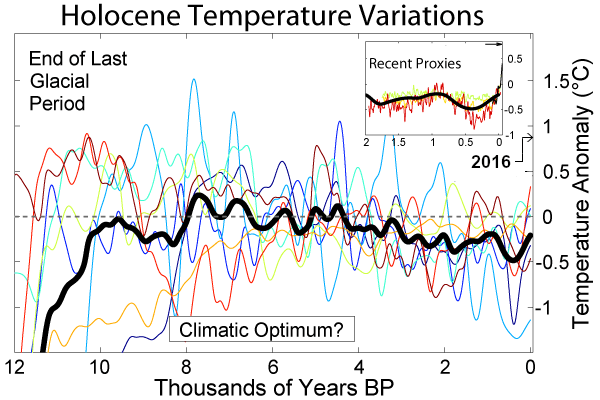 The Wiki-reconstruction does attenuate the HCO a bit; but it still shows that the modern climate is down right cold in comparison to the rest of the Holocene. The team blew the Himalayas, so now they are seeking out yet another remote place to make obscure claims that will fall apart under review. Good PR but awful science, that would be the standard model of doing climate science then. Climate change is that thing where if you study glaciers individually, there is almost never evidence of any global effect. They used the IPCC assumptions to model the IPCC results. My exact thought while reading this nonsense. All modeling, no actual observation, based on IPCC data, confirming….uh…. IPCC data. The era of post normal science continues apace, I guess. If you look deeply at the charts on wikipedia, you’ll see a lot of familiar names as sources. is the wikipedyized hockey stick, but check out the sources for the candy-colored curves. We have seen that glaciers and ice sheets are in a state of quasi equilibrium, governed by rates of melting and rates of accumulation. For a glacier to maintain its present size it must have precipitation as snowfall at its source. This leads to a slightly complex relationship with temperature. If the regional climate becomes too dry, there will be no precipitation, so the glacier will diminish. This could happen if the region became cold enough to reduce evaporation from the ocean. If temperatures rise, evaporation is enhanced and so therefore is snowfall. Paradoxically a regional rise of temperature may lead to increased growth of glaciers and ice sheets. Today, for example, the ice sheets of both Antarctica and Greenland are growing by accumulation of snow. So the IPCC prediction are in complete agreement with the IPCC predictions. Amazing..and…wait for it… it’s worse than we thoguht. ‘The Mt. Ranier glaciers also seem to have beached…’ – suggest reached. So, glaciologist Ted Scambos said, in reference to the IPCC & his new study that, “Both could be wrong, but it gives more confidence that both are approximately right”. Is it just me or does that statement come across as somewhat, well, I don’t know? Maybe like, “gosh we sort of hope you think, or we’re really trying to give you confidence that the massive amounts of money we’re gonna hit you up for that chemotherapy treatment was maybe an approximately correct decision”. Nice piece of work, well researched, well written. Glaciers advance and retreat. In the 1600s they were advancing, and had the modern alarmists been around, the folks of that era would have been treated to stories of future advances. Then they were retreating and we get stories of future retreats … the foolishness of these “draw a line and extend it to 2100” clowns would be laughable if it weren’t so dangerous. PS—I added “Guest Post by David Middleton” to the post. Bit of man made co2 global waming here. Day after day they (Grant /rent seekers) keep pumping the data fudging and fraud using the UN mafia’s IPPC projections. The good thing is they are their own worst enemy they have cried wolf to often and are now preaching to the the ever shrinking but powerful warmist choir. Thank god for skeptics and and the internet. This is war and they will never stop and neither will we!!!! What bothers me is that the alarmist religion is forever hollering “look something is changing!! !” And yet, the conditions on planet Earth have always been in flux. Always. Hummmmmm. Looks like David beat me to it!LOL But that extract right there completely destroys any credibility these guys may have had. They used a GIGO model of a GIGO model to come up with another GIGO model??? And they wonder why most people with more than two brain cells and critical thinking skills call them “cultists in the CAGW religion”? Just follow the money. If I am reading correctly, they are using models based on IPCC assumptions, and these model results match the IPCC model results. And then they say “The finding confirms that the IPCC was correct”. Since when is one model the confirmation of another model? In my eyes, the only way to confirm something is real data and/or experimentation! It’s like saying you have an imaginary friend Ernie, and you other imaginary friend Bert has confirmed for you that Ernie exists. Wow. This may come as a shock to many: Since we are at the very end of the Interglacial Warmup Period, why should it be a surprize that glaciers are still melting? What should be of concern is that any glaciers – and there are many- are growing. The 10,500 year temperature curve of the GISP2 Ice Core data is heading down with increasing acceleration. In 2009 the Sun transitioned into a Grand Solar Minima. Better get some snow skiis, and stock up on food and fuel. You will be needing them for the next few decades. Err, not exactly – it tries to pretend the temperature since the last glaciation has been within ±0.5C of some mythical average; currently at the -0.5C end – hardly ‘downright cold’. I absolutely agree with the rest of your post. It is ludicrous to pretend that the end of the world is nigh because some small glaciers may disappear. Imagine what panic there’s going to be when they start growing again – as the Fox and Franz Josef glaciers did a bit in NZ recently. And these clowns never mention it is the amount of snow in winter that is a major factor in growth and retreat. If the temperature variation is 0.6C/century then it ain’t going to be melting it is going to be snow accumulation that is the main factor. How much snow and ice will make the alarmists happy ?? The only accuracy you will find in a computer model is “garbage in=garbage out” 4.5 billion years of climate change is pretty hard to argue with.CLIMATE CHANGE IS NATURAL and CO2 IS LIFE. Get out and take a look at our BEAUTIFUL EVER CHANGING WORLD it’s not a computer model. Once again, the alarmist approach is to ignore the effect of soot on the glaciers and that most glaciers have been in retreat for the past 150 years. Man made deforestaion adversely affecting precipitation in the region of the glaciers in temperate and tropical latitudes is also usually ignored . Natural climate cycles have been affecting glacial growth and retreat throughout the Pleistocene Era (the last 2.65 million years), but now the alarmists will argue it is different: glacial retreat is only caused by rising CO2 levels and it is all the fault of man – so it obviously needs more study and more grants and more people – the classic mantra of the pseudo-scientist. Sorry wrong country. The Argentière glacier is French. I live in Colorado and have been up to the St. Mary’s glacier (really a permanent snow field that people ski on in winter). After seeing how small it is to Alpine Glaciers I’ve been to, I tried to look up historic changes. In my opinion, if AGW was that powerful, this snow field should be gone. It is tiny and it is unchanged as best I can tell. My hypothesis is the glaciers are melting as a result of the end of the little ice age. Once the “easy ice” is gone, they will stabilize. Looks to be the case in a lot of Alpine glaciers which are not changing anymore. Don Easterbrook extensively documents the same sort of waxing and waning of the glaciers on Mt. Baker in Washington State in his recent book on the geology of the Bellingham area. After you read the book it is not hard to see why Dr. Easterbrook is skeptical of the catastrophism! Given that Warmist Alarmists appear to be going round in ever decreasing circles…can we hope that some day soon they will disappear up their own a$$holes? New Zealand’s mountain ranges could lose up to 85% of their glaciers by 2100 say the team. Was the team using Jim Salinger’s imaginary NZ temperature record? This site has got its gander up about glacier retreat. one of those “Oh My God!” moments? Apparently the IPCC has really screwed up (no wonder there) it’s estimation of what is causing sea level rise and especially what is causing the “it’s worse than we thought” acceleration of sea level rise in the last fifty years. Inspired by NOAA’s statement that the recent “speed-bump” decline of sea-level is due to all the rain that fell in Australia because of La Nina, I got thinking, gosh, if just a few rain-falls could affect sea-level that much – what is the affect on sea-level of global aquifer depletion? Because most of the groundwater released from the aquifers ultimately ends up in the world’s oceans, it is possible to calculate the contribution of groundwater depletion to sea level rise. This turned out to be 0.8 mm per year, which is a surprisingly large amount when compared to the current sea level rise of 3.3 mm per years as estimated by the IPCC. It thus turns out that almost half of the current sea level rise can be explained by expansion of warming sea water, just over one quarter by the melting of glaciers and ice caps and slightly less than one quarter by groundwater depletion. Previous studies have identified groundwater depletion as a possible contribution to sea level rise. However, due to the high uncertainty about the size of its contribution, groundwater depletion is not included in the latest IPCC report. This study confirms with higher certainty that groundwater depletion is indeed a significant factor. Wada, Y., L. P.H. van Beek, C. M. van Kempen, J. W.T.M. Reckman, S. Vasak, and M.F.P. Bierkens (2010), Global depletion of groundwater resources, Geophysical Research Letters doi:10.1029/2010GL044571, in press. It’s funny how David Middleton is such a genius but can’t answer these trivial questions for himself. It’s simple really. There is a big stretch between an emissions scenario and the response of glaciers to that temperature regime. It seems that this paper is attempting to fill that really really big gap in understanding. Just taking what is presented in this glacier melt report, sea level rise by 2100 will be in the range of 3 to 7 inches. That ain’t much, especially when compared to earlier IPCC estimates of up to five feet, and Gore and Hansen estimates of twenty or more feet. A maximum of 7 inches is very close to the measured rise of the twentieth century, and of course is far below the average of over two feet per century since the end of the last Ice Age. Where’s the beef!? Or mutton, since this has a New Zealand flavor. Really, how is this any different than getting your palms read, Tarot cards read, or having a soothsayer read a crystal ball? Those are all modelling too. Modelling the future based on a sequence of Tarot cards. Here I go again explaining stuff I thought everyone knew. Glacier mass balance depends on the rate of accumulation above the snow line versus the flow and melting at the snowline. So inceasing temperatures has 2 effects. 1. Increased melting at the edges. The snow line moves to higher altitudes. 2. Increased humidity leading to greater snow deposition. So warming in its early stages can increase the mass of ice, but reduce the area of ice coverage. Eventually sometime in the future the area for low lying glaciers will become zero. I hope that David can understand all that cos he is a genius. I’m sure the ordinary WUWT readership has no problems at all understanding it either, if they wanted to. There is no doubt three main glaciers of NZ South Island (Franz Joseph, Fox and Tasman glaciers) have all been retreating since the LIA. It will be interesting to see whether there will be any short term recovery due to seemingly larger annual snowfalls onto the southern alps during the last 10 years compared with the 80’s and 90’s. I say seemingly cos its based on personal observation as a keen skier rather than relying on any data produced by NZ climate organisation NIWA of the 7 series adjustment infamy. Which amazingly is still prominently displayed on their website. Oh the arrogance of Government Departments eh? Let’s not forget that the New Zealand data handlers were the first to be caught warming the temperature data and doing it more than any other group. They really wanted to be number one in the warming race. So, with that and the IPCC peer-reviewed junk science, all of their wishes and predictions will be for everything to melt, even their brains. “Credibility! Huh! We don’t need no stink in’ credibility! Stupid Gringo! Naa… Inventive Kiwi’s will shoot down to Franz Joseph Glacier, chip a bit off, put it in their chilly bins then take ’em home and put ’em in their freezers…!!! Not circular reasoning: straightforward If A then B. Except that “A” is considered certain. Therein lies the debate: is A certain (and settled)? Back in 1980 I worked with engineers who modelled the value of oil reserves at Texaco in Canada, based on an in-house price index for oil. It postulated $200/bbl in 1980 dollars by the year 2000. The conclusion was that it was more profitable to NOT produce, to leave the oil in the ground for another 20 years, than to take the money in 1980. The executive at the time almost laughed: unlike the IPCC, they understood the vagaries of the official projections, and the uncertainty of model outcomes. Today the model is king. Those executives would be firing everyone who publicly promoted the type of report described here. GIGO, I recall them saying. Othodoxy taken to extreme is not a virtue. That really would be scary. 4 inches of sea level rise per glacier?? Who proof reads this stuff? Damned glacier has melted in my gin and tonic, oh the horror! leave the splicing to man and jones. Take a hint – don’t bother. Where Ocean Heat Content seems to be pretty flat since 2003. But 99% of all climate scientists say the world is warming, don’t confuse the issue with So-called “facts”like these. If it was true I’d hear about it on NPR. I guess this is offset by the growing smaller glaciers in New Zealand and elsewhere. Kind of pathetic if they think people will panic over this. We now have predictions confirming predictions? Whatever happened to facts? Maybe if these scientists start spiking our water with “stupid pills” this kind of BS will take hold! Let’s see. There are about 15,000 Himalayan glaciers. Each glacier contributes (min) 8.7 cm, 15,000 * 8.7 /100 = 1,305 metres sea level rise. But all the ice on Earth could melt and it would only add about 70 metres. Where did the other 1,235 metres of water come from? Why should we believe this bunch are competent to calculate their way out of a wet paper bag? NONSENSE! LOOK AT REAL DATA IF YOU WANT TO PREDEICT REAL EVENTS! The “Stupid pill” is called ritalin and they use it wholesale on the school kids in the USA and Canada. I wish I could use a sarc tag but unfortunately it is true. Hmmmmm, global warming makes New Zealand colder and their glaciers are growing. 15 May 09 – The New Zealand Herald (page A12) announced that “The Fox and Franz Josef Glaciers are still growing, despite global warming, apparently because of weather patterns bringing more cool wet conditions to New Zealand. So when Lovett wrote “New Zealand’s mountain ranges could lose up to 85% of their glaciers by 2100. In the most comprehensive study of mountain glaciers and small ice caps to date…” he should have added that this was despite the fact that they were getting bigger. Click on 1896. This compares glacier extent between 1896 and 1994. The latest data available in this graphic. You will see all the retreat is in the south, and to a lesser extent east and west facing glaciers. The 2 north facing glaciers haven’t retreated to any significant extent. In fact the largest north facing glacier seems to have advanced a little since 1896. This is clearly an increased solar isolation effect, and not due to GHG AGW (which operates thru atmospheric warming), which would affect glaciers equally irrespective of their aspect. Almost 100 years prediction. Hahah! Do this ****** know what type of technology will exist in 2100? How many studies are like this? They all say the same thing: The glaciers are melting! But they’ve been proven wrong again and again. Besides, they aren’t even sure of their own results! “So inceasing temperatures has 2 effects. That’s a pretty neat trick to reduce the area of ice but still increase ice mass. Does this come from actual observations or from modeling? But assuming you’re right and you can pack a greater volume of ice into a smaller area, wouldn’t that lower sea levels, not raise them? And why does this only happen in the “early stages” of warming? If the melting ice causes greater snowfall, and if more snow creates more ice mass to melt as temperatures increase, and if the melt increases humidity resulting in more snowfall, why couldn’t that cycle continue for some time? I’m just trying to understand your reasoning. Would the inverse also be true? Does cooling reduce ice melt, humidity, and snowfall, reducing ice mass overall and causing oceans to rise? I scored 2 tickets to a lecture by James Hansen tomorrow night (Mar 20) @ Willamette Univ in Salem, OR. I follow WUWT daily but, as a forester, would prefer to get a couple of great questions to ask (if I get the chance) from good, skeptical climate scientists. So, I’m soliciting short, to-the-point questions to ask that would publicly humiliate this charlatan. I find it strange that they would use that photo. 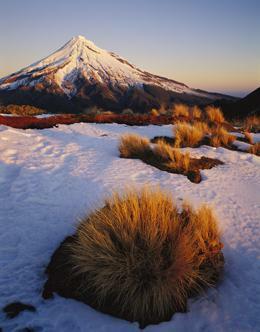 That is my local Mountain, Mount Taranaki, and it has no glaciers. And to my knowledge hasn’t had any for recorded history. The photo itself looks like it has been taken from the smaller mountain ranges to the north, and the fact that there is snow on the ground is unusual, so it must have been a very cold winter to get snow there. The Mountain itself is ~90% snow free in the summer and even the winter snow fall is patchy at best, to the detriment of the local ski club. But snow seems to be becoming more common in my home region. We had the biggest snow anyone can remember last year with a couple of inches settling on the ground, this is only the third time it has snowed in my 30 years, and the first time the snow has actually settled. We have also had some strange summers in the last 5 years; it snowed on the mountain on Christmas day in 2006, a third of the way through our summer and most unusual. I have to confess I find the views of the global warmers curiously perverse and self-contradictory. Imagine for a moment that their claim of the disappearance of small glaciers is true. The effect on the surrounding environment is minimal, because most runoff comes from snowpacks not from glacier melt. But here’s the thing. Desertification is generally looked upon as an adverse development. But there are two kinds of deserts, hot and cold. Even in the worst of hot deserts, some life can be supported. But a cold desert, an ice field, supports no life whatsoever. Since melting glaciers represents a reversal of desertification, one would think that simply in terms of environmental diversity this would be regarded as beneficial, just as reversal of desertification of hot deserts is regarded as beneficial. This is the standard explanation for why glacier mass lose isn’t the more or less linear decline predicted by GHG AGW theory. I’ve never seen any actual measurements to support this contention. As I pointed out above, the differential ‘melting’ of north and south facing glaciers casts serious doubt on increasing temperatures (on a global basis) as the cause of retreating glaciers. FYI sublimation is a significant factor in glacier ice loss. For most of the world’s ice (almost all in Antarctica) sublimation is the only cause of ice loss. A study showing changes in temperate zone glacier sublimation rates would be very interesting, but as it would be a study to show that GHG AGW isn’t the cause of glacier retreat, I don’t expect to see such a study any time soon. Nothing wrong with the work. Still a bit shy on history geological history that is. OK…I may be missing something, but it sounds like they just used an estimate to confirm an estimate. Do they really want to sound that silly? 1. What is meant by climate sensitivity and is there a numerical calculation that will tell us what it is? 2. The current amount of CO2 in the atmosphere is said to be below 400 ppm. At what future date might we expect it to be 800 (a doubling) and are there any estimates other than direct extension of the past 50 years or so? Note, the above are not meant to humiliate anyone. They are reasonable questions that require appropriate answers if the US and other developed nations are to rapidly and radically remake themselves in a green utopian image. If anyone is willing to publicly state their answers to these questions it will be possible to see if they have been smoking something, just blowing smoke, or both. Well here’s my predictions: If as the IPCC thinks global temperatures rise by 3 degrees then generally it will be warmer than today. Otherwise, not. I too have a PhD so I’m well qualified to make these predictions. “….according to observed temperature records, Greenland underwent a 33% larger warming in 1919.1932 than the warming in 1994.2007 [Box et al., 2009], and recent decadal average temperature is similar to that of the 1930s.1940s [Chylek et al., 2006; Box et al., 2009]. A deviation of the Greenland temperature from the global average temperature trend is likely caused by regional climate variability…”. We only have the word of Hansen and Jones to rely on for that conclusion. That Wikipedia Holocene Reconstruction (which for those interested in such things is not peer reviewed) has always puzzled me. How can the average — the heavy black line — of only eight wildly disparate and no doubt carefully selected proxy reconstructions (it’s the Wikipedia after all) represent anything valid or worthwhile? Let’s get down to brass tacks. What is a big glacier and what is a small one? What distinguishes them, and how are the differences measured? How many of each, and where, are they in the world? What are they all doing in terms of growth or shrinkage? WUWT readers will not be surprised to find that none of those fundamental questions are addressed in this latest addition to the huge recycling bin called ‘junk science’. It is about as meaningful as me doing a ‘study’ of dandelion population increases or decreases in my lawn, and linking it to CAGW. For the record, the dandelions seem to be increasing. QED. The southernmost glacier in Europe is in Italy, not too far from Rome, is it melting? Sorry, but July pictures are wothless in this discussion. September images would be a better hint. Amazing phrasing… “was correct” in saying what will happen in the future? Notice the mixture of the past tense with the future tense? These people should lose their educational credentials, and be forced to take a 5 year remedial reeducation program run by the driver’s license bureau. Unless they can show the freeze line has gone up in altitude any melting above that will be due to something other than increase warmth. Also, I think I gave the impression that glacier mass balance indicates glacial expansion. The group of glaciers used for the global GMB calculation are still cumulatively contracting, just much more slowly since ~2003. Glaciers may move at glacially slow paces; but they are always moving, always expanding away from or contracting toward their depocenters. It’s reassuring to see that the warmist explanation for any change in GMB seems to be AGW. Any decrease in GMB is driven by AGW-induced melting. Any increase in GMB is driven by AGW-enhanced precipitation… (Ptolemaic glaciology). Alpine or valley glaciers are rivers of ice; they are always flowing downstream. Excess precipitation at the depocenter leads to greater downstream ice flow. Most alpine glaciers in the US are located in north-facing mountain valleys. More southerly exposures are vulnerable to radiative heating, melting and ablation. When depocenter precipitation is adequate and summer temperatures at the terminus are sufficiently cool, the glaciers expand downslope. 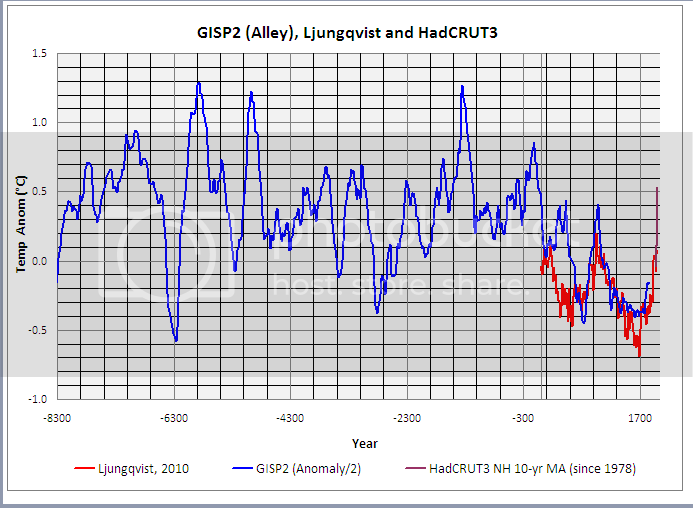 This causes GMB to increase, as it did during the Little Ice Age and during the mid-20th century cooling. More Post Normal Science sloppiness in wording. I believe a model can “confirm” nothing. A model is a hypothesis in numerical form. Anything generated by a model is theoretical, not empirical. Science requires that only data from the real world can confirm or deny a hypothesis. For example, all of the climate models (hypotheses) cited by the CAGW crowd in the 1980’s and 90’s predicted much higher global temps by now than we are seeing. Data from the real world has denied these hypotheses. It is about as meaningful as me doing a ‘study’ of dandelion population increases or decreases in my lawn, and linking it to CAGW. If you pour the remnants of the boiling water you used for making tea, or coffee onto the offending dandelions, you will kill them with the arguably anthropogenic catastrophic warming. OTOH Dicamba works well, but don’t get it on your skin. Ditto for boiling water. I remember the start of the Holocene. Back then Ice didn’t melt, petulent that ice was, until recently one couldn’t find melty ice on earth, anywhere! Everything was bigger then too. Bears were the size of small elephants, small elephants were the size of big elephants, and Big elephants were the size of Giant Bears. When it snowed, it snowed glaciers, and when it rained sleet, the sleet was as thick as densely ice laden water – unlike today. We use to tip mammoths for sh*ts and giggles, we gave up on tipping marmosets, those things had teeth and were the size of dire wolves back then. Dire wolves were the size of a Prius, and Emperor penguins stalked the landscape like Christopher Walken, you know with that odd twitch. You can get a feel for it, by watching that documentary called ‘ICE AGE’, kids love it for some reason. Unlike now, the sea was dangerous. Schools of Hairy Rhino Sharks trolled about like Sierra club fanatics at a Monckton debate. Giant Otter-Pus lurked in the shallows – Part Otter/Part Octopus. None in the fossil record of course, the Rhino Sharks ate them all. The Emperor penguins ate all the Hairy Rhino Sharks in the end, then retired to Antarctica, feigning innocence. Sorry, using boiling water would be ‘enabling’ global warming. Can’t be doing that. I went to Iceland in 1984 and surveyed a glacier. Results compared to an identical survey 5 years earlier revealed no change. I was a high school student at the time. I have no idea if our results were preserved for prosperity or not, but we found regression at the tongue, thickening in the body and slight mass increase. I may have to look further into this and see if anyone has been back since. That aside I think the article represents theory not fact. I love data, not tired old memes. Sorry, that was an heinous mistake! Take a look at this graphic of Mount Ranier glaciers…. This is clearly an increased solar isolation effect, and not due to GHG AGW….. 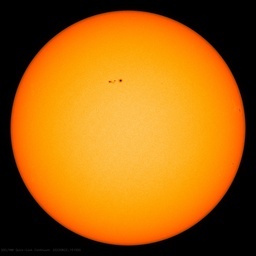 The activity of the Sun over the last 11,400 years, i.e., back to the end of the last ice age on Earth, has now for the first time been reconstructed quantitatively by an international group of researchers led by Sami K. Solanki from the Max Planck Institute for Solar System Research (Katlenburg-Lindau, Germany). The scientists have analyzed the radioactive isotopes in trees that lived thousands of years ago. As the scientists from Germany, Finland, and Switzerland report in the current issue of the science journal “Nature” from October 28, one needs to go back over 8,000 years in order to find a time when the Sun was, on average, as active as in the last 60 years….. Harder et al. show that on multi‐year scales the SIM observed SSI of VIS and NIR bands varies out‐of‐phase with variations in the UV and TSI. In addition, the magnitude of decrease in UV band energy at 200–400 nm during the declining phase of solar cycle 23 is nearly 10 times as large as that for the reconstructed UV irradiance. In the VIS (400–691 nm), the SIM observed SSI changes out‐ of‐phase with variations of TSI and reconstructed SSI. The magnitude of the increase of observed visible SSI is more than twice as large as the magnitude of the decrease of reconstructed SSI in the same spectral band. Similar out‐of‐ phase variation with large amplitude is also evident for observed SSI in NIR band at 972–2423 nm [see Harder et al., 2009]. SORCE SIM observations span about 1 =2 of a solar 11‐year cycle so far, but already these observations suggest that it is time for a re‐examination of the impact of solar variation on climate. Here we examine the climate response to two scenarios of solar forcing. Scenario I is in‐phase SSI variation based on the reconstructed SSI [Lean, 2000]. 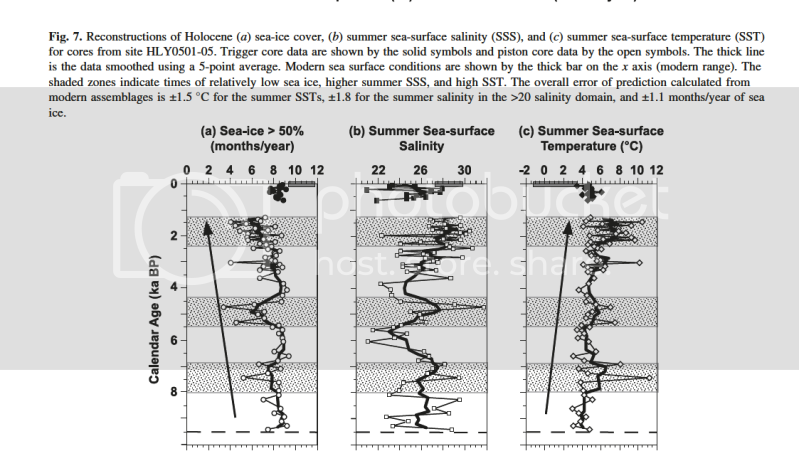 Scenario II is out‐of‐phase SSI variation based on the SIM observations [Harder et al., 2009]. For simplicity we use simple sinusoids to describe successive 11‐year solar variations for both in‐phase and out‐of‐phase scenarios with amplitudes and phases given by Harder et al. . For both scenarios the amplitude of SSI are scaled to have 11‐year TSI peak‐to‐peak variations of 1.2 W/m2 (see identical black curves in top panels in Figure 1a and 1b). We also note that SIM covers the spectral range up to 2423 nm. SSI variations beyond SIM’s wavelength upper limit are computed from the difference between the variation in TSI and SIM’s observed SSI variations…. Unfortunately, glyphosate kills grass; dicamba doesn’t so you can use a sprayer and not have to worry about overspray. That’s slightly quicker than using a wick-wiper, or shielded spraying. Personally, I’m quite in favour of a bit of “global” warming; we just don’t seem to get any down here in the Southern hemisphere. I suspect your greenie friend doesn’t like the bitter taste of dandelion leaves; I know I don’t. The dried roots can be used as an ersatz coffee, but it’s even more diuretic than the real thing and nowhere near as tasty. I think the north/south facing difference in glacier retreat/advance is primarily a decreasing aerosol/cloud effect. There may be a solar irradiance contribution, but I don’t think its large. Although the GCR contribution might be large. I suspect your greenie friend doesn’t like the bitter taste of dandelion leaves; I know I don’t. You have to use the young leaves of just-sprouted dandelions. Just eat the babies!